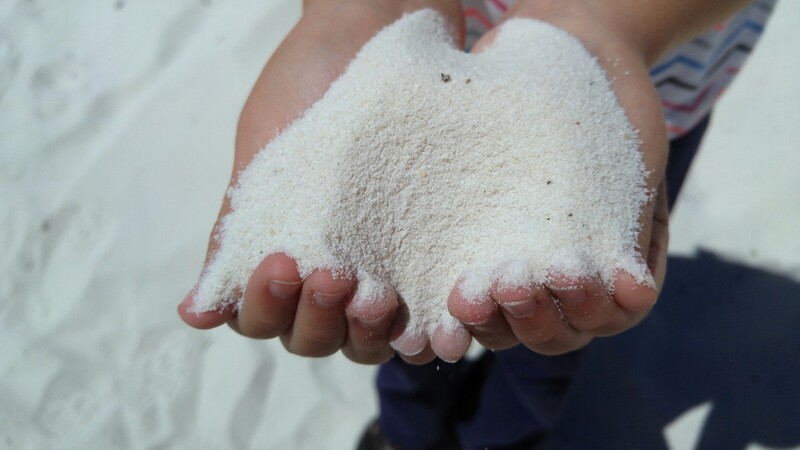 Interestingly, it is rare to find gypsum in the form of sand, because it is not water-soluble; it is usually carried out to sea. 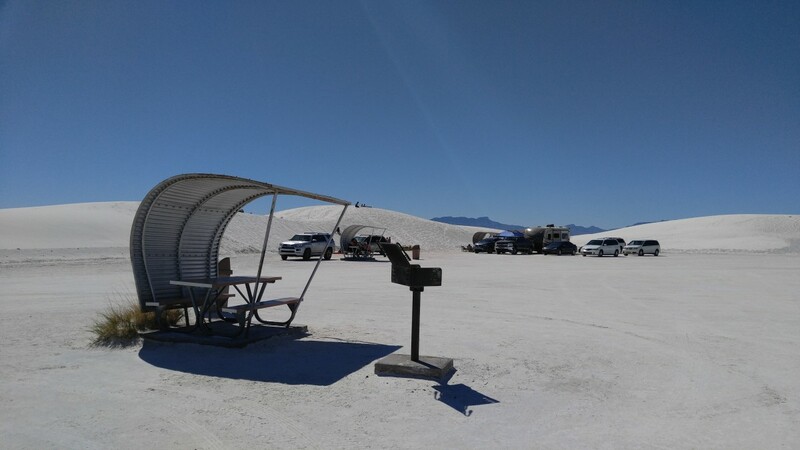 However, because the White Sands dunefield is in the middle of the enclosed Tularosa Basin, there is no natural outlet for rainwater and, thus, the gypsum. 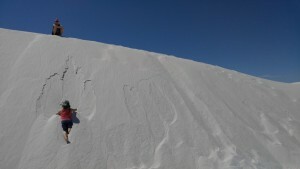 Instead, water collects at Alkali flat — an area abundant with selenite (gypsum) crystals, or Lake Lucero — a dry lake bed and low elevation point of the basin, and drains into the ground, leaving behind gypsum in crystalline form. The crystals are crunchy underfoot and fragile when handled, and make for a sparkly experience below the dunes. Another interesting fact about the gypsum field is the cooling nature it has on the feet, despite soaring temperatures from the sun. 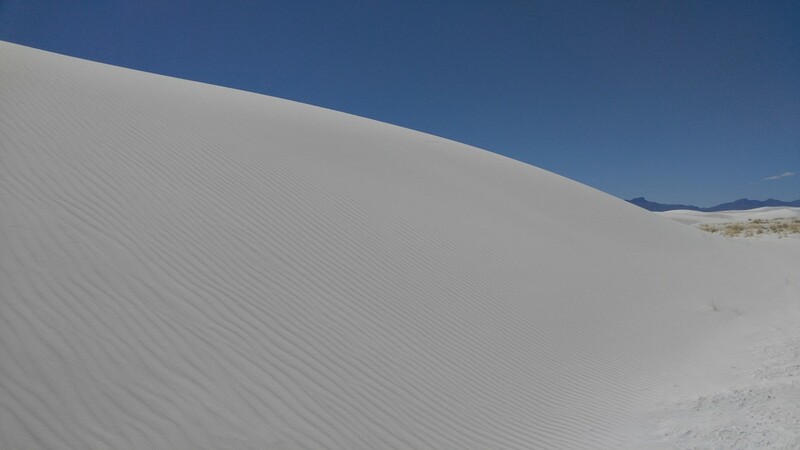 Even though gypsum is a quartz-based sand crystal, it does not readily transform the sun’s energy into heat. We may have been hot above, but a quick plunge of the feet into the sand cooled us down immediately. 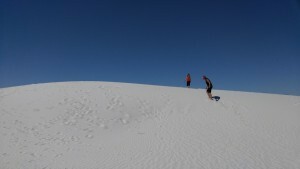 Being situated in the middle of nowhere has its benefits: Only the dedicated are going to make the drive to White Sands National Monument in the desert and heat, making play time in the park pretty easy. This is not to say that attendance was sparse. 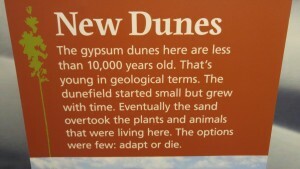 In fact, visitors were everywhere, popping up on top of a dune, only to disappear as one of us ran down one. Other individuals and families treated it like a beach, plopped onto a blanket or beach chair under an umbrella or a day shelter provided by the park, picnicking or reading or resting. 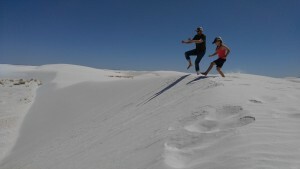 Still others brought circular sleds and slid their way down the dunes, screaming and laughing all the way. 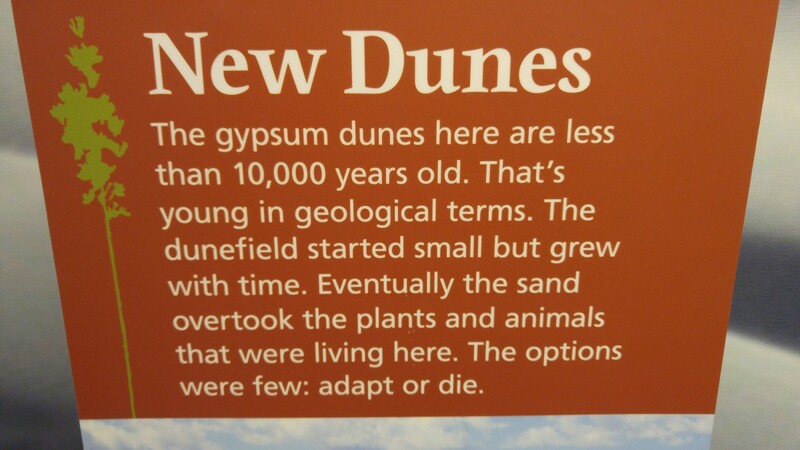 We could hear and see lots of people, yet the expansive dunefield made it seem as though each spot was our own, secluded and private and personal. We were sucked in by the vistas and tranquility, and we could have stayed for days. 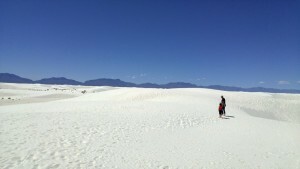 As i write this, it seems impossible to express the beauty and vibe of White Sands National Monument. We have experienced no other place like it. 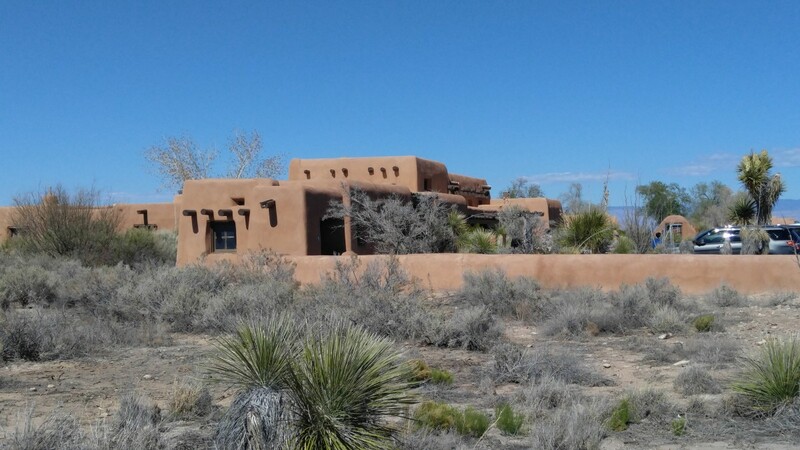 It is endless beauty surrounded by desert and mountain. 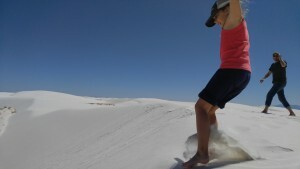 It is white everywhere, with various textures, plants, flat areas and hills breaking up the otherwise infinite dunes. It is utterly breathtaking and supremely fun. Adults feel like kids again in the this giant sandbox. 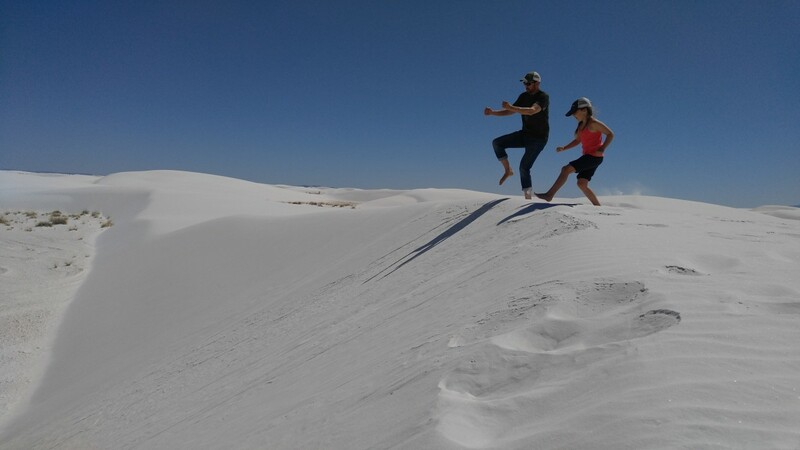 White Sands National Monument is a great place for families. But all of this beauty and open, isolated space cannot go without controversy, of course. White Sands National Monument is wholly surrounded by military installations, specifically White Sands Missile Range and Holloman Air Force Base. Historically, rogue missiles have landed on various structures throughout the park, and noise from air traffic has disturbed its tranquility. 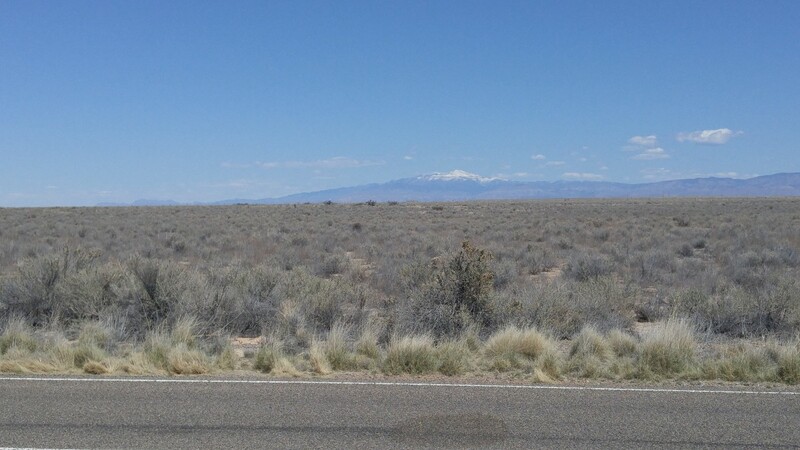 In fact, it is along the northernmost bounds of the park where the first atomic bomb was tested at the Trinity Site (fascinating read in and of itself), to give you an idea of the intensity of the region. 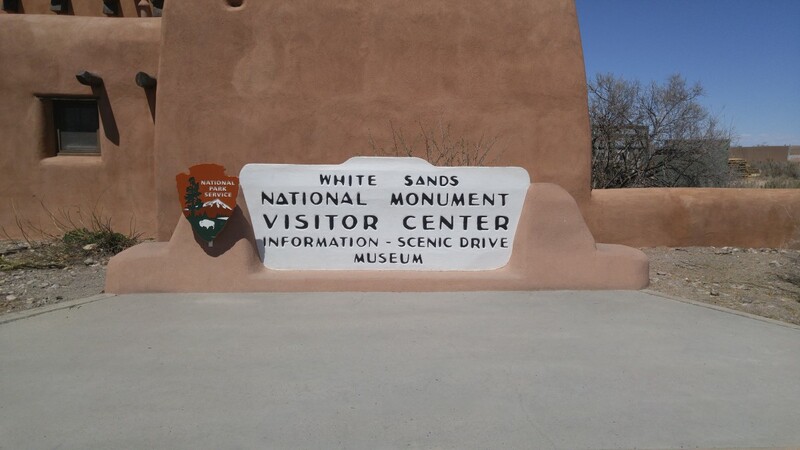 In 2008, White Sands National Monument held a tentative position on the UNESCO World Heritage Site list, supported by New Mexico’s Senators. Its U.S. Representative argued against the park’s ranking for fear of it interfering with ongoing military operations. 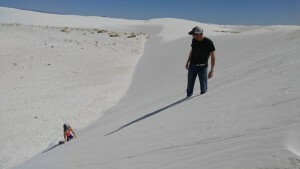 White Sands National Monument was removed from its potential membership as a World Heritage Site. Furthermore, an Otero County (New Mexico) Commission made it illegal for any such action to ever take place, continuing to deepen the sticky relationship between White Sands National Monument and the military. On one hand, it is understandable: The military is one of the largest employers in the region. 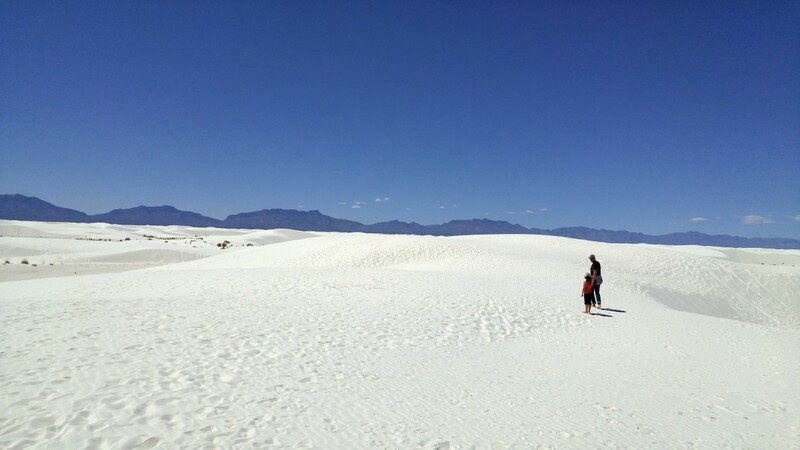 On the other hand, there is no other place like White Sands National Monument. It is quite a juxtaposition to be at the center of such natural beauty and the creativity/fear of man, but there it is. At least the park gives you warnings of tests taking place and is closed for a few hours a couple of times a week, and at least the governments allows the park to stay open. We have Herbert Hoover to thank for protecting this place at a federal level, as well as the need for the government to keep it relatively free from suburban clutter. No matter the situation, White Sands National Monument is a place that we hope you see at least once in your lifetime. It ranks right up there as one of the most amazing experiences we’ve had on this journey. There is truly nothing like it. What a gem of a national park. 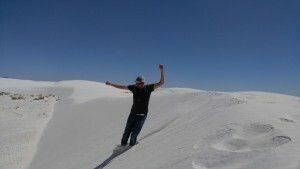 We also loved White Sands. 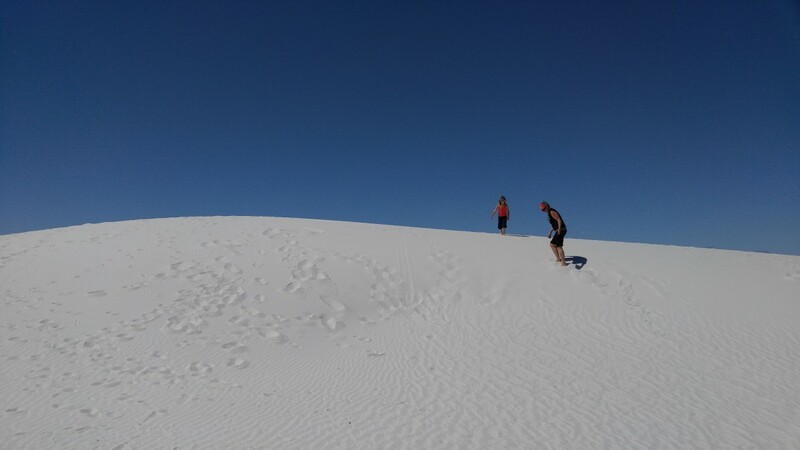 We didn’t have a child with us, but the beautiful dunes of the whitest sand we’d ever seen turned us into children for a while. So glad you enjoyed it too!